Kenneth E. Lang, D.D.S., M.S.D. Welcome and thank you for visiting our website. 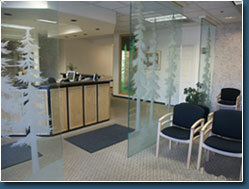 We are a periodontal and dental implant practice that has served the Reno, Nevada community for over 20 years. Our goal is help you keep your natural teeth for a lifetime. Dr. Lang offers the most state-of-the-art periodontal care available. He has advanced training in laser surgery, cosmetic periodontics and dental implant placement. Dental implants are the most natural form of tooth replacement. "Our focus is to provide you with individualized care. We thoroughly explain everything, including all treatment options, so that you can make the best decision. Our staff are one of the main reasons we've been so successful. People in the community know they are friendly and always willing to answer questions. They see the same faces year after year. For myself, I'm trained as a pharmacist, general dentist and periodontist so can bring a wide background of experience. I try to keep apprised of the latest advances and techniques through frequent course work presented by the nation's top research clinicians. Our equipment is continually upgraded to provide you with latest advances available. Another main focus is patient comfort. We use advanced techniques and medications to ensure your comfort. I hope you find our website helpful and look forward to meeting you in person." Kenneth E. Lang, D.D.S, M.S.D., LTD. Featured in Periodontists Directory.com and Dental Implants Directory.